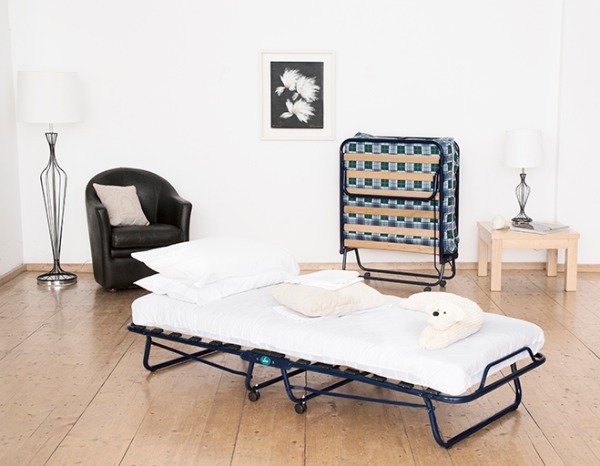 Vico Standard Folding Bed - Modern Blue Frame with Slatted Base and Automatic Action Legs . On opening of the Bed the Legs lock into the open position for extra safety. The Bed is extremely portable and on Castors for ease of movement from room to room. The Folding Bed comes with Vico's Standard Spring Interior Folding Bed Mattress.